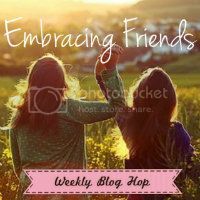 Welcome to week 8 of the Embracing Friends Blog Hop! No jabbering from me today! Link up, visit one another, and grab a button! This week's feature is Donna at The Epicurean Crafter. Here's a little note from Donna! Hi everyone! I am so excited to be featured here today! I love this blog hop and all the new friends that I have made. My name is Donna and I live in the San Francisco Bay Area. I love gourmet cooking, wine, entertaining and crafting. I have a degree in Anthropology and I also went to Culinary School where I got a degree in Hospitality and Restaurant Management. I am a catering manager at a large corporate account in Silicon Valley. I work 50 hours a week so I don't have much time to blog or craft but I try to squeeze it in when I can. Luckily, I don't work evenings, weekends or holidays which allows me to have my dream job and still have time to spend with my growing family. I am married to my best friend and we have a precocious 4 1/2 year old daughter and are expecting baby #2 in December. 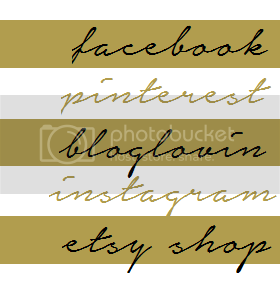 At The Epicurean Crafter I love blogging about my DIY crafting and culinary adventures. While I am a great cook I am domestically challenged....I would rather craft or cook than clean. I am totally addicted to social media and can be found on twitter @DonnaOneil, Pinterest and Facebook.